Jeff Samudosky wields a chainsaw like few others are capable of. 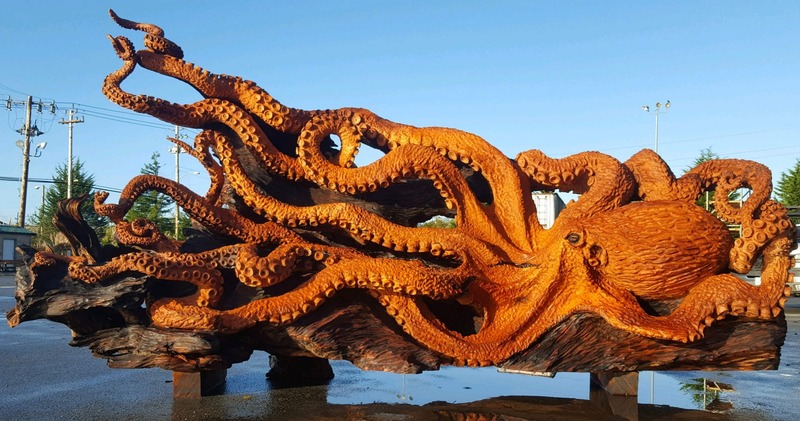 And if you have any doubts about his talents, you don’t need to look any further than the incredible giant octopus he carved from a massive chunk of redwood. 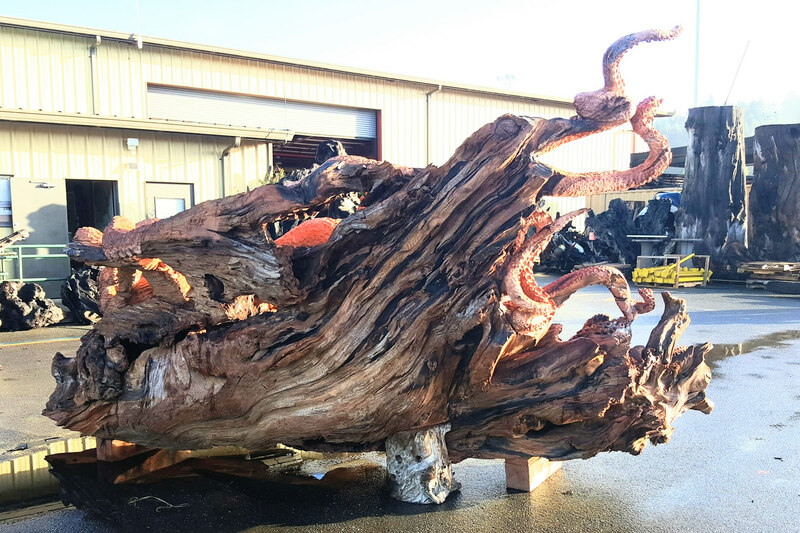 The transformation from raw, gray, fallen wood into a stunning tentacled beast is remarkable. 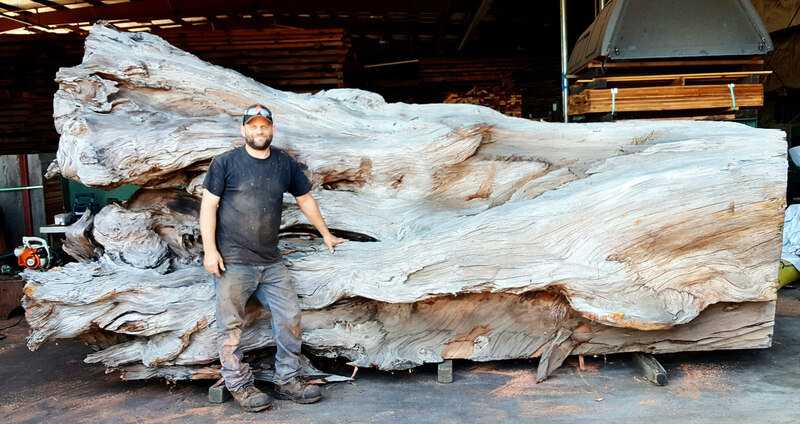 Working with such a huge piece of wood was a challenge, but clearly Jeff was up to the task. Right down to the suckers and the texture of the skin, the attention to detail is astounding. 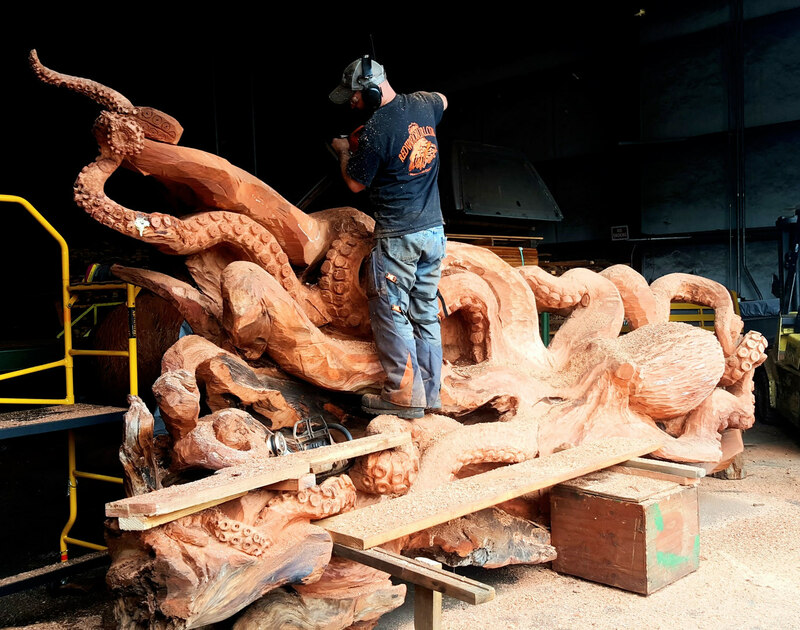 Jeff kept the back of the sculpture natural, so it looks like the octopus has latched onto a piece of driftwood. In the end, Jeff created a pretty amazing sculpture. 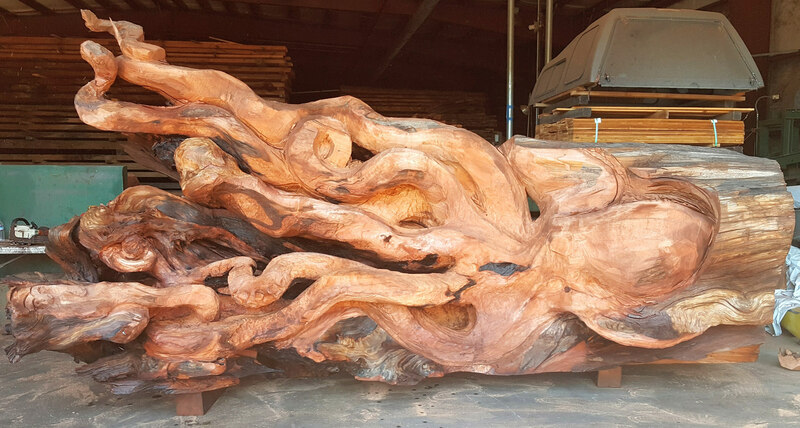 It’s hard to believe he did all that with a chainsaw! 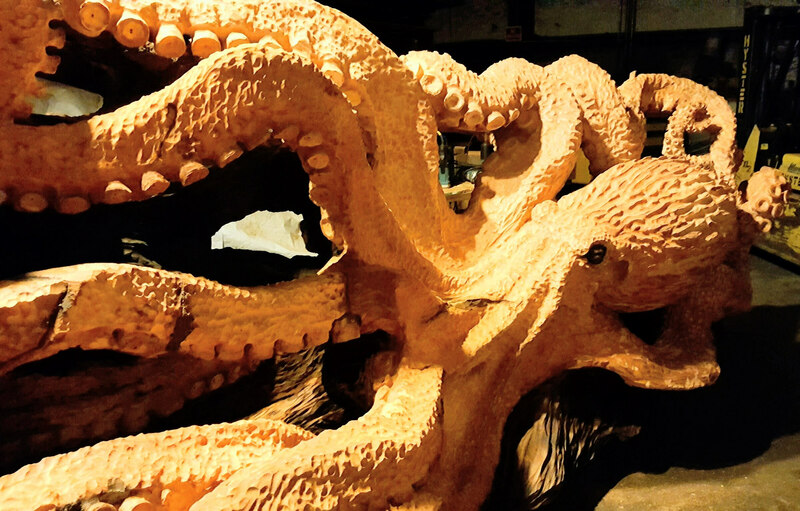 What do you think of Jeff’s giant octopus sculpture? Let us know in the comments!